As I explore historical documents concerning the California condor, I am always delighted to read the reactions of those encountering a condor in the wild. 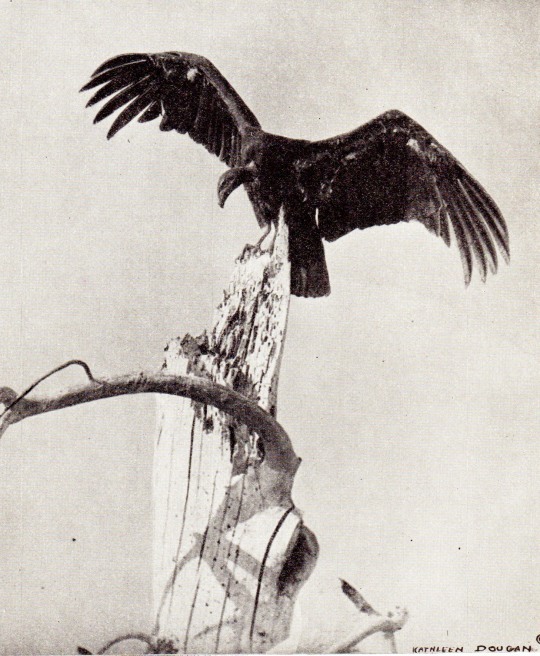 Below are 10 reports of sighting condors, all published in the 1st half of the 20th century. Seeing a condor, especially for the first time, offers an opportunity to be enchanted. At least some of the reports quoted here make it clear that being in the presence of a condor provided a significant, meaningful experience. To come upon the California vulture alive and free is like suddenly coming to a giant sequoia towering above the forest. The sequoia awes you with the feeling of immensity, and the forest trees that you had looked up to as very large are suddenly dwarfed. The same thrill strikes you when overhead the great wings of the vulture spread out and with mighty strokes carry the huge bird in wide circles up through the sky; and, as you look down, the turkey buzzards sailing below seem little more than circling swallows. While I was climbing up the more sloping wall of the cañon … a pair of Condors, the first I had ever seen in nature, swept majestically overhead, near enough to impress me not only with their great size, but with their personality. Across, and around, and in and out of the circling mass of lesser birds: crows, ravens and turkey vultures, we descried greater forms gliding steadily and majestically in wider and unwavering orbits, and realized that we were, at last, beholding a portion – too large a portion – of the pitiful remnant of that great race that once ranged, even in historic times from Baja California … up into Oregon and Washington …. It will be understood that we were not … particularly keen about gathering statistical data, and had it ever formed a part of our contemplated program, it is more than probable that we would have been disarmed by the rare spectacle before us. It was upon “Observation Rock” on September 16, 1934, I stood and had pointed out to me by Mr. Lawrence Peyton the first Condor I ever saw. It was high in the heavens and fully a mile away, but what a thrill comes over one when, for the first time, one sees this large bird soaring in the distance. Field glasses were focused on a large colony of white throated swifts near the skyline, when a shadow swept along the rocky walk suggesting an airplane and the call arose, “There it is”! A giant bird circled with mighty wing strokes out over the Canyon in graceful curves and the Condor was unmistakable. Quivering with delight we watched breathlessly. We saw one, then two, and then a third one…. The whole scene was staged and timed perfectly for each on of us to see and at the same time realize that we were viewing a rare sight, the largest flying bird in America. In a few short hours eleven magnificent specimens of these monarchs of the upper air … were sighted sailing among the clouds or perched in the tremendous dead pine trees that dot these precipitous mountains. After a few miles, shouts went up as they saw what they had come to see – a monstrous black bird soaring far overhead, its white underwings flashing in the sun. In the same desolate spot they might have seen an identical sight 1,000,000 years ago. … my eyes glued on the trail, I was startled to see a large shadow flit by right ahead. Looking up to see what caused it, I received one of the greatest ornithological thrills of a lifetime. There a scant fifty yards above were soaring two huge Condors. Fascinated, we watched the great birds …. For about twenty minutes we were treated to the rare spectacle of Condors in flight. Finally they disappeared among some crags in a towering cliff. … they were sights I know I will never forget. Perhaps you may recall how disappointed I was last year in April not to see any of the California Condors that were near Granite Station. On August 18 of this year about 5 PM I was hurrying to get to a near-by place before dark. I had to go to Lynn’s Valley little store and gas station for gas and a few groceries and was a wee bit vexed over the many little things that had delayed my trip, when I noticed perhaps one-eighth of a mile from the Jim Beard home, circling in the air a California Condor. My vexations were forgotten. I was elated…. I watched them until they were mere specks in the sky, and how I wished that all the members of the WBBA [Western Bird-Banders Association] might have shared the sight with me …. I especially appreciate that Mrs. Williams (that’s how she’s identified in the item) wrote of wishing her friends and colleagues could have shared her condor-sighting experience. Bailey, Florence Merriam. 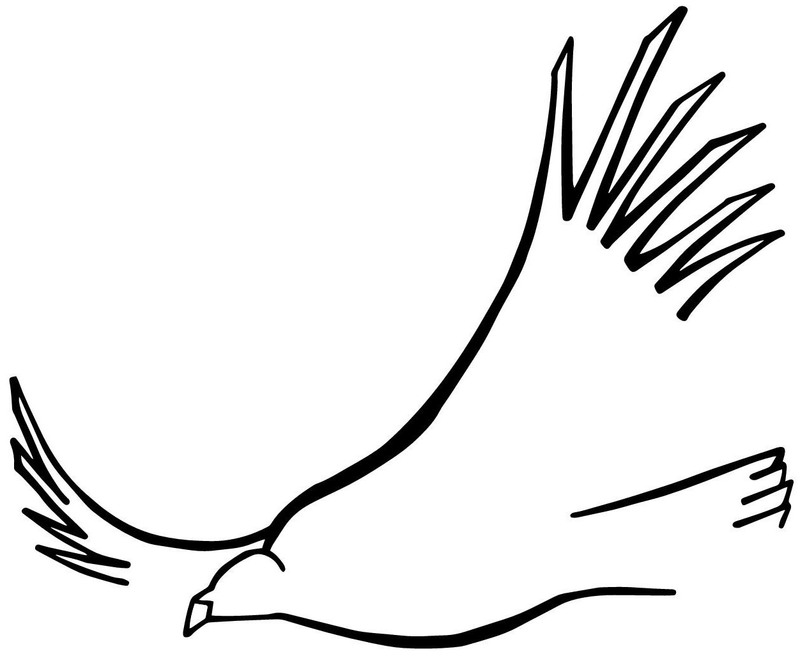 Handbook of birds of the western United States. Houghton, Mifflin. 1902. Chapman, Frank M. Camps and cruises of an ornithologist. D. Appleton. 1908. Dyer, Ernest I. Meeting the condor on its own ground. Condor. January-February 1935. Webb, Joseph J. The condor and its nesting site. Gull. October 1935. Edwards, Charlotte McKay. We saw the condor! Western Tanager. December 1936. Ainsworth, Ed. Condors come back; expert tells habits. Los Angeles Times. 28 March 1937. Anon. Condor upturn. Time. 12 April 1937. Kessler, Jerome. The big three. Cassinia 31. 1938-1941. Seibert, Milton. A week with the California condor. Field Ornithology. January-February 1941. Williams, Mrs Will. Letters. News from the Bird-Banders. October 1950.